View our full collection or order a custom style and size! 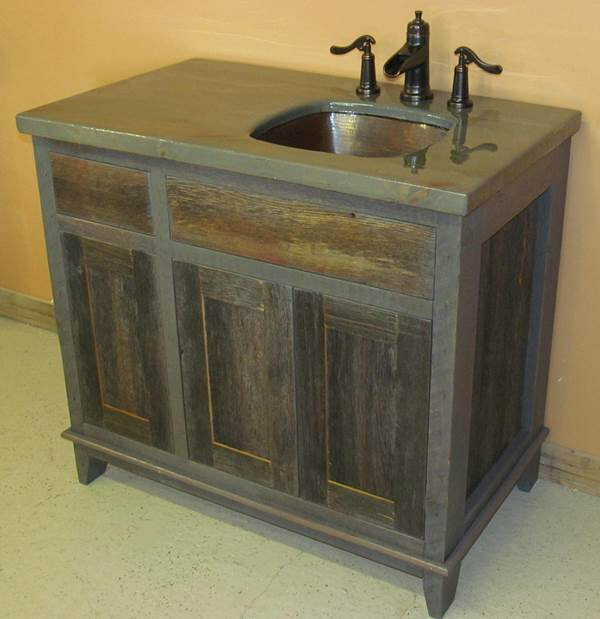 This is our Antique Bathroom Vanity style made from Weathered Gray Barnwood. Custom sizes and styles with drawers can be ordered by using the green quote request. 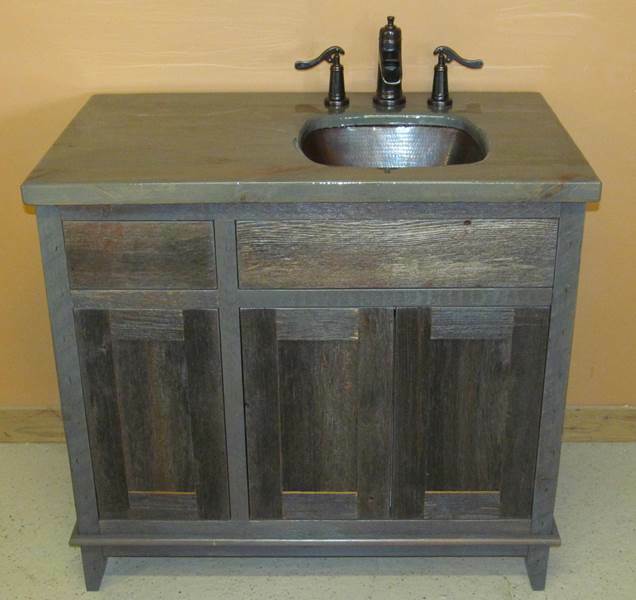 We use reclaimed gray barnwood from Midwestern barns in all of our vanities. Order a custom size online now!